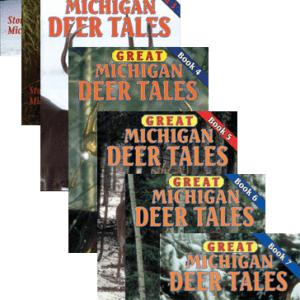 Regardless of where you hunt whitetails, the inspirational stories in this set of books can help you learn how to be a better hunter! 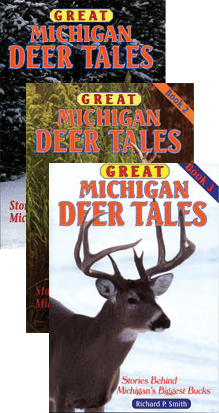 If you are interested in Big Bucks these books are for you! 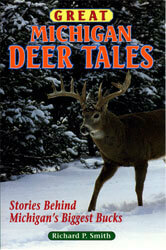 Each book has completely different stories. 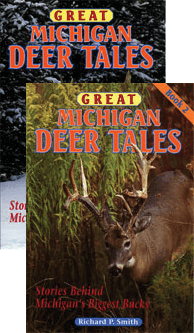 Each book is 128 pages and has between 32 – 46 photos. Choose Any 3 of the 7 Book Set! We are still working on smoothing out issues with the new website. 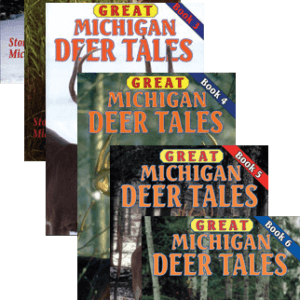 Until we smooth out Great Michigan Deer Tales Set ordering, please email us with the books you would like included in your set. Thank you for your patience! 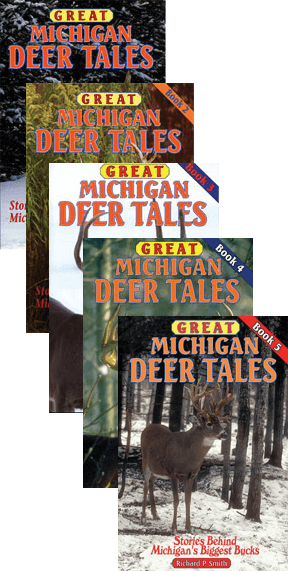 Check out the books in the series!